Yes, we live in Iowa and soon there will be winter storms with snow, ice and freezing rain. While we all expect winter driving conditions, there are some important things to know including tips to avoid a winter car accident in Iowa. 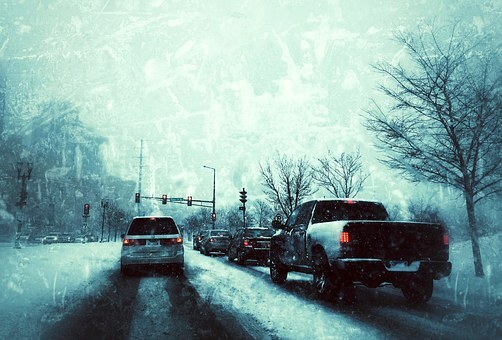 You should know that your risk of getting into a car accident in the winter increases because of bad road conditions. Bad road conditions and weather alone cause more than 1.5 million car accidents each year in the United States. Did you know that the most dangerous day to drive in the winter time is the day after the first snow or ice storm of the year? This is because it seems like many people forget how to drive in winter driving conditions. They are not used to being more cautious, slowing down and leaving more room in front of their vehicle in case they have to quickly stop, etc. Here are 4 tips to remember before you drive after our first storm of the year. Many people think that just because they have all-wheel drive or four-wheel drive that they somehow can drive much faster than others. While having power on all four wheels will give you more traction, it will not help you if you have to try and stop quickly. Driving too fast for road conditions is one of the biggest mistakes drivers make during the winter. Yes, you may be in a hurry to get somewhere, but if you end up in a ditch or worse in an accident it will take you much longer. Please drive according to the road conditions. Following too closely during inclement road conditions creates danger. If the driver in front of you applies his/her brakes quickly, you will need to react quickly and if you are following too close you may not be able to get slowed down. If you start to slip and slide on the ice and snow on the road then you should push on your brakes normally and turn your wheel in the direction you want your front end to go. Most newer vehicles have anti-lock brakes which prevent your wheels from locking-up and do not require you to "pump" your brakes as many of us were taught to do when we start sliding. Sometimes, no matter how safe you drive, accidents do happen. You should be prepared with a winter survival kit including extra clothes, gloves, food, water, a flashlight, etc. If you end up in a ditch while waiting for a tow truck or worse find yourself stuck on a closed road, then you will be glad that you prepared. Attorneys Corey J. L. Walker & Erik D. Bair practice primarily in personal injury cases (which include car accidents) and represent Iowans from throughout the state of Iowa including, but not limited to Marshalltown, Iowa City, Pella, Cedar Rapids, Des Moines, Oskaloosa, Ottumwa, Newton, Urbandale, Ankeny, Clive, Waukee, Norwalk, Fort Dodge, Mason City, etc.